Mention Kenya, and visions of grassy savanna’s teeming with wildlife and exotic birds spring to mind. Kenya’s divergent ecosystems are home to more than 31,000 species of plants and animals, over 400 of them endangered. From the snow-capped peaks of Mount Kenya to the Great Rift Valley—an enticing range of cultural and outdoor activities await. Meet tribal peoples in their homeland, view wildlife on jeep or walking safaris, or trek with camels through the scenic Laikipia Plateau. As you’ll hear over and over in Swahili, Karibu—Welcome! The Mara is one of Africa’s greatest wildlife reserves. Part of the Serengeti-Mara ecosystem, the grassy savannahs are home to big cats, elephants, rhinos, wildebeests, giraffe, gazelle, antelope, monkeys and other plains wildlife. Hippos can be spotted on the banks of the Mara River. Birders will thrill at the 400 species of birds, including over 50 species of raptors, in the Mara. From July through October, over 2 million wildebeests, zebras and antelope migrate from the Serengeti in Tanzania to the Maasai Mara in Kenya in search of water and fresh grasslands. 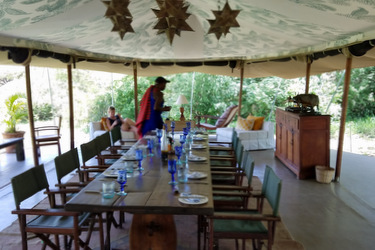 The 74,000 acre private reserve is a partnership between eleven member camps and over 800 Maasai landowners. Mara North has one of the most densely populated wildlife areas combined with one of the lowest tourist densities with the Maasai Mara ecosystem. Visit iconic Leopard Gorge renown as a big cat nursery area. Bordering the Maasai Mara National Park, the 35,000 acre reserve is a model conservancy which features spectacular scenery and an abundance of animals including the Moniko lion pride (Mara’s largest) and high numbers of cheetahs. The Great Migration can be experienced here. The Laikipia Plateau is one of Kenya’s greatest conservation success stories. Through a network of private conservancies, the traditional pastoral life of the Samburu tribes coexists with freely roaming wildlife. The Plateau has one of the biggest and most diverse animal populations in Kenya. The Big Five are present and there is a large population of rhinos in several of the conservancies – where rhino tracking with the rangers who protect them is a unique and exciting experience. 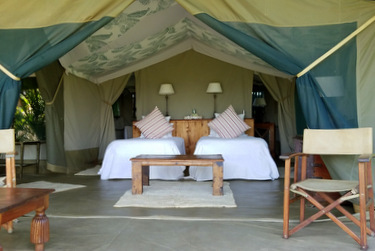 Walking safaris, night game drives, horseback riding, biplane rides and village visits are all possible here. In the shadow of Mount Kilimanjaro to the south, Amboseli is the year round home to large herds of animals, including a dense population of elephants. Swamps and lakes fed by runoff from Mount Kilimanjaro provide water and fresh grazing and attract large flocks of water birds. One of two freshwater lakes in the Rift Valley, Lake Naivasha and the surrounding acacia forests, support a thriving bird population. Hippos rest in the shallows. Bike along the shore, tour the lake by boat, or walk amongst the animals in a protected reserve. Combine with a visit to scenic Hell’s Gate National Park. Nairobi, the capital of Kenya, is a young and cosmopolitan city, and a range of activities are within easy reach. Nairobi National Park, which sits on the outskirts of Nairobi, includes an animal orphanage and a large black rhino sanctuary. Adjacent to the park, the David Sheldrick Wildlife Trust runs a rescue center for baby elephants who can be ‘adopted’ with a donation. 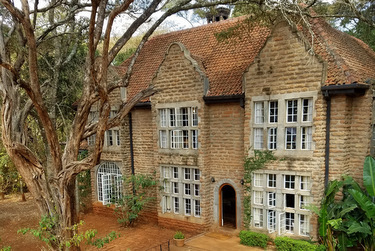 Visit Karen Blixen’s (Isak Densen) home and garden in the suburb of Karen. Mingle with Rothschild giraffes at the Langata Giraffe Centre. 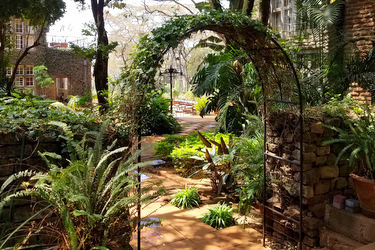 For an overview of Kenya’s history, including the archaeological finds of Louis and Mary Leakey, visit the National Nairobi Museum. The semi-nomadic Maasai inhabit southern Kenya and northern Tanzania. They are one of the last great warrior cultures. Their traditional pastoral lifestyle centers on cattle, their primary food sources. Many Maasai tribes welcome visitors to experience their culture, traditions, and lifestyle. The Maasai are known for their colorful intricate beadwork, body ornamentation, and energetic dancing. The Samburu live in the Rift Valley in north-central Kenya. They are closely related to the Maasai, and their semi-nomadic lifestyle is focused on livestock. Both men and women wear elaborate beaded collars and headdresses. The best way to get to know the Samburu is to stay at a community run lodge, or enjoy a walking or camel safari with Samburu guides. Book a custom trip to Kenya! Contact us at How to Book. March is a good time to avoid crowds and see lots of wildlife with their young. High season, which is also the dry season is June to September. The great wildebeest migration makes its way through the Masai Mara from July to October.